Charlie Chaplin in City Lights, 1931. Though the era of talking films was well underway, this lovely silent film about the Little Tramp and a poor blind girl remained Charlie Chaplin’s personal favorite. Chaplin’s latest picture, City Lights (Cohan), has been greeted with the general acclaim of the press, an acclaim so fervent that it surpasses even the unmeasured enthusiasm over his performances in the past. The three years of publicity (largely gratuitous, no doubt) that preceded the showing of the picture possibly have had something to do with this. Likewise, the impressive fact of a silent picture coming out of dialogue-ridden Hollywood. But the magic of Charlie Chaplin’s name must have been the strongest factor. Only this can account for the acclamation of City Lights as the crowning achievement of Chaplin’s art. The truth is, it is the feeblest of his longer pictures. The Kid, The Gold Rush, The Circus (I am one of the unfortunate few who missed seeing The Pilgrim) gave us the mature Chaplin, less spontaneous, perhaps, than in his still earlier A Dog’s Life or Shoulder Arms, but just as subtle in his whimsicalities and a little more wistful. In City Lights there are few whimsicalities, while what was intended to be wistfulness has clearly degenerated into something decidedly maudlin. One has feared for some time that this was going to happen. There were alarming signs of it in The Circus, although they were heavily outweighed by the amazing ingenuity of the episodes which revealed the fantastic naturalness of the little tramp. In City Lights the only scenes that have this fantastic quality are those depicting the desperate venture of our hero into the business of prize fighting. There we get our old Chaplin, the personification of a helpless and guileless soul who resorts to grotesquely fantastic, though essentially natural, devices to get himself out of a tight corner. In Chaplin’s art what he does has always been as important as how he does it. His little tricks and unexpected twists of action may be described as “gags,” but there is a world of difference between them and, for instance, such gags as are used by Harold Lloyd. Lloyd’s gags are merely external situations in no way connected with his screen personality, which, by the way, is little more than a void. 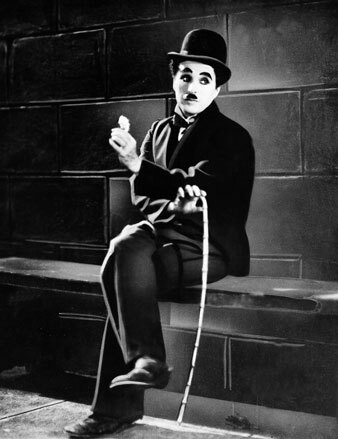 Chaplin’s gags, on the contrary, spring from the very nature of the character he has created and are the principal means of revealing that character. It is because of his ingenious reactions to the situations in which he finds himself that we have come to love the absurd little fellow; we would fain imitate him if we could only divest ourselves of our respectable habits. To be sure, we laugh at his droll ways, but we also pity him for being always at odds with the world, a round peg in a square hole. There is pathos enough in the character himself not to need any stressing by means of a sentimental plot. Chaplin’s growing seriousness, his desire to be more than a mere comedian have deceived him into holding sentiment more precious than fun. He has paid dearly for this error of judgment by producing a picture of which less than a quarter does credit to his genius. If I ask for more fantasy in Chaplin’s Pictures, I should be content, not to say pleased, with much less of it in such a picture as Trader Horn (Astor). Somehow the fantasy there fails to blend with the realistic background. The blame for this must be laid largely at the feet of that entertaining spinner of yarns, Mr. Aloysius Horn, though the director, too, is guilty of some quite uncalled-for crudities. Apart from this, the picture is a magnificent record of wild life in Central Africa, abounding in thrilling episodes and in scenic splendors. The natives who play a prominent part in the story prove to be excellent actors and are approached in this among the white members of the cast only by Mr. Carey in his fine characterization of Trader Horn.